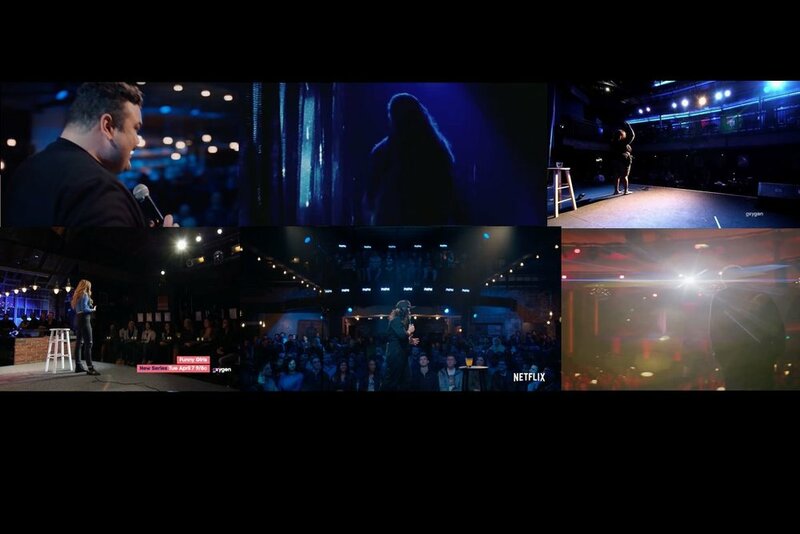 Once the audience gets the know the comedian, they build a connection and get invested in what our comedian feels. Shots of our character on the stage from behind allows the audience to be in their shoes, emotionally. There will be at least 2-3 different angles that accomplish this for our show. 1:2.39 Ratio (Cinema Scope) will give the show a documentary filmic look that makes it stand out from other stand up comedy shows. The Low Saturation, Low Contrast, Colder Look will enhance the cinematic approach and gives it a less polished less glossy feel. Big Wides, and Tight Tights. This allows us to let the scene unfold without interference from production, keeping authenticity, yet elevating the look. Since the interview is carrying much of the backstory, old VHS footage and pictures will be cut within the interview. Elevating the pictures by filming them cinematically instead of using the standard ken burns technique will help support the story.